Sonic Mania Plus now available on PS4, Switch, Xbox One, and Steam! Did you get your copy of Sonic Mania Plus yet? Earlier this week, Sega released the newest, paid DLC upgrade to Sonic Mania – Sonic Mania Plus! Featuring two new characters, an Encore mode, and 4-player multiplayer, Sonic Mania Plus features a world of new changes to last year’s hit release. Known as the highest-rated Sonic game in over 15 years, Sonic Mania set out to deliver a nostalgic experience to fans who remembered the best days of the Sonic franchise. In doing so, it included new stages, beautiful HD animations, and an experienced greatly missed by many players over the last two decades. In addition, Sonic Mania became the perfect game to start new fans out in the series. With Sonic Mania Plus, we’re looking to outline a few of the changes featured in the update. Some of these are aesthetic, while others impact the gameplay on a major level. Whether you’ve played the first Sonic Mania or not, you’re in for a treat. As the original rated an 86 on Metacritic, Sonic Mania Plus dares to do different with the Encore mode, which changes several factors from the main game. 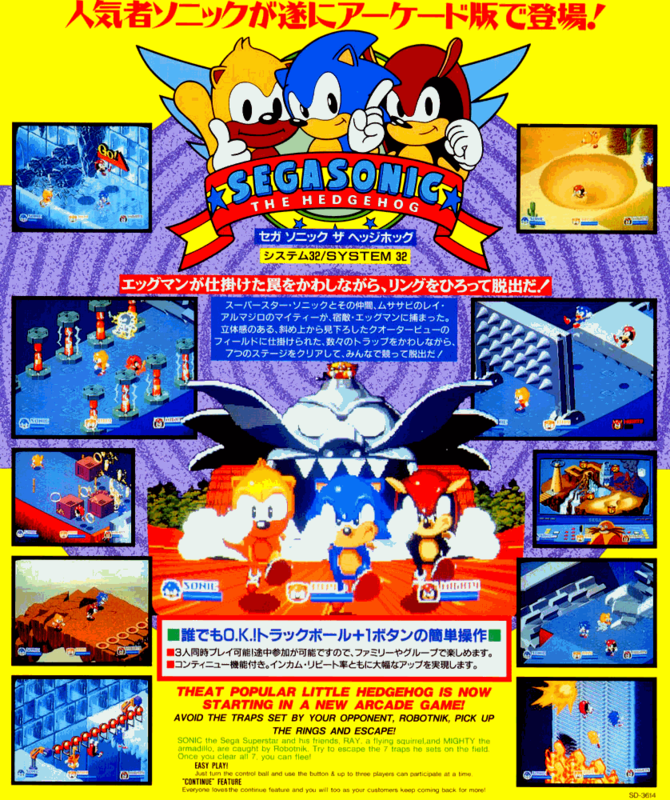 Sonic Mania Plus features two returning characters who debuted in the 1993 SegaSonic The Arcade Game – Mighty the Armadillo and Ray the Squirrel. Mighty has the ability to smash through rocks on the ground. Think Sonic’s Bubble Shield attack, but with a much lower bounce. In addition, he can take one free hit when landing into spikes, taking no damage due to his hard shell. On the other hand, Ray the Squirrel can glide. His glide behaves similarly to Knuckles’, except you can control his trajectory with momentum. In addition, when ending his glide, he maintains a spin form, allowing him to attack enemies. Some of the new features of Encore Mode include remixed stages. In addition to Angel Island being the intro stage, all stages received aesthetic changes. Green Hill Zone now has a sunset, for example. Perhaps this references Sunset Hill Zone in Sonic Advance 3. All stages also receive a remix version, which means a harder challenge, new passages, and giant rings in a new location. Seven new special stages were added to the game, and are harder than before. Finally, competitive mode adds 4-player split-screen. Octopath Traveler and Captain Toad now available on Nintendo Switch. One major particular change involves switching characters. You can start with Sonic and either Mighty or Ray. As you progress through the game, you can destroy TV boxes to save Tails, Knuckles, and Mighty/Ray. You can switch between any of two characters at any time. This also means you won’t truly die unless you run all your characters out. The new characters and switching brings up some new exploration possibilities. Mighty and Ray bring the character count to five. Sonic Mania Plus has the most playable characters in a 2D Sonic game since Sonic Advance 2 and 3. Sonic Mania Plus proves to be an experience where everyone can find a favorite character. Therefore, if you’re interested in learning more about Mighty and Ray, check out Sonic Mania Adventures, animation shorts published officially by Sega! Sonic Mania Plus is out now for PS4, Xbox One, Nintendo Switch, and Steam. You can purchase either the digital or physical copy here. Encore Mode, the standalone update, is also available on respective digital stores for $4.99. Thank you for reading up on our Sonic Mania Plus coverage! Do you have a new favorite character? What do you like most about the new update? Let us know in the comments below!